Wholesale Apple Berry K9 Bars - 16 oz. 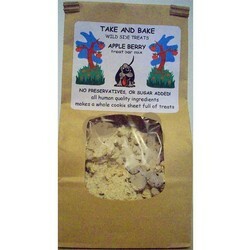 Apple Berry K9 Bars - 16 oz. Product description:Smells like oatmeal cinnamon cookies but without all the sugar. We use healthy, all natural cranberries, oats, flaxseed meal and of course apple.